There can be few better things than traveling to a new country that has beautiful golf courses: Spain, Scotland, New Zealand, South Africa – there are so many to choose from – but it’s essential to arrive prepared. If you’re a golfer and a traveler, here are a few things to consider when you’re making an equipment packing list. Look for durable, lightweight and roomy. 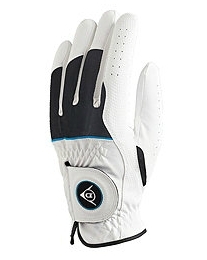 PGA-favourite Club Glove’s selections get rave reviews. Also, look for a car-friendly bag with wheels and a pull-handle to make it easy to haul around with you. Tip: don’t bring every club you own. Skip a heavy wedge and extra putter to avoid excess weight (and freight charges!). Take an inventory for insurance purposes. Avoid all-black or at least tie a yellow ribbon around your bag so you can pick it out on a luggage belt. No big deal, just pack right for it, including a hood for your clubs, full-sized golf umbrella, flexible rain suit, wet- or all-weather gloves, hat, shoe bag, valuables pouch, yardage book covers and dry hands gripping solution. Consider packing a windshield and bring extra towels. Along with plenty of light, thin layers, just tote along a woollen hat, scarf and earmuffs. And pack a pair of handwarmers for those early starts. Packing for a sunny golf trip is considerably easier, just bring breezy clothes (including shorts, but check with the course about dress code), sunglasses, chapstick and plenty of sunscreen. In the Laser Rangefinders vs. handheld GPS debate, the rangefinders tend to get the upper edge thanks to their simplicity and better battery life. But don’t pack too much – every ounce counts when traveling. Softer balls are better for cold weather, but keep golf balls inside overnight whatever the climate. A camera, to capture a few select stunning views! For the latest golf news and reviews, you can visit the Today’s Golfer website at http://www.todaysgolfer.co.uk/. Happy teeing off!